For many the process of moving from a paper based system of observing and recording children’s development is a daunting one. When examining the differences and similarities between paper based and digital documentation systems, the similarities far outweigh the differences and moving over is just a matter of a few simple clicks. The National Quality Standard regarding observation documentation, programming and planning states that “Each child’s learning and development is assessed as part of an ongoing cycle of planning, documenting and evaluation.“ How this is done is entirely up to the centre and educator. 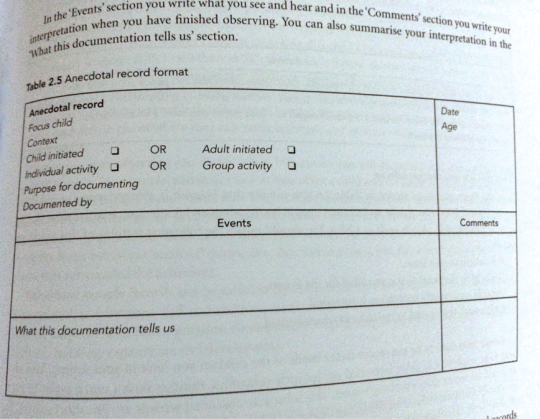 Paper based documentation has many formats (see picture for example) and these are often personalised depending on the organisation and centre requirements. When making the move over to a digital documentation system, the format may be slightly different but the content remains the same. Using an app like Kinderloop makes observation recording and analysis simple and quick, with links possible right in the recording stage. It also makes observational records searchable and follow-up possible with the click of a button. 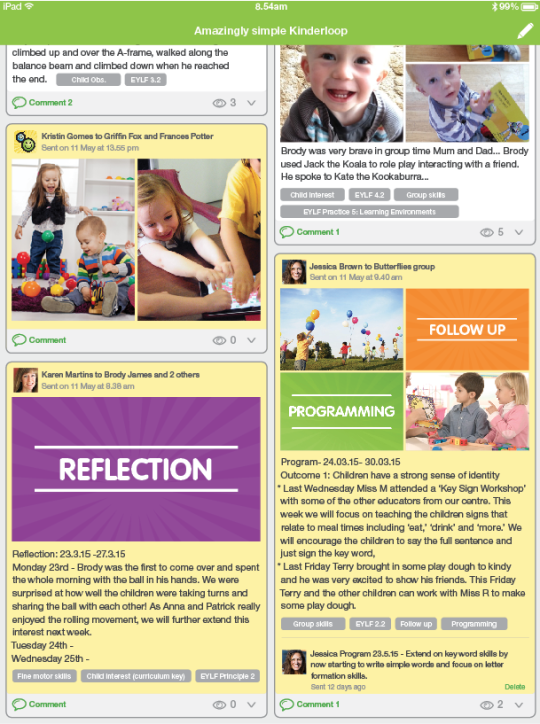 There are two types of posts possible within Kinderloop: public (white shading and viewable by families and educators); and private (yellow shading and is viewable only by educators). Depending on the policies and procedures at your centre you may be able to post your observation and analysis on a public post for parents to see, or you utilise the private posts for recording analysis and assessment of learning. 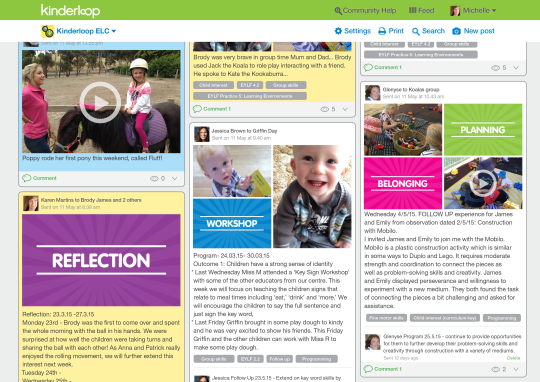 •	save your observation by selecting Post and your observational record is saved to the centre’s Kinderloop. The great thing about this observational record is that it can be quickly reviewed by all educators and is fully editable if you forgot something! Developmental records may be recorded and viewed on a device with the Kinderloop app or on a desktop or laptop computer using a web browser. Developmental records are securely stored within each centre’s private Kinderloop and easily archived for storage in line with regulatory requirements. In the ever-changing world of Early Childhood Education and Care, there are so many things that educators must adapt to on a daily basis. Moving from a paper based system to digital documentation can be an exciting adventure; reducing the time spent programming and planning for children, sharing children’s explorations with families in real time and significantly reducing the environmental impact of documenting children’s learning.